Warm, cool, crunchy, soft, salty, sweet, sour, spicy yumminess! I like a plate that covers all the bases. I especially love the cold, crunchy salad with the warm shredded pork. I encourage you to play a little with the different flavors here and customize the meal to your personal preference. Don’t be afraid to taste as you go, in any recipe! Double or triple that Sriracha if you dare and make it super spicy. I would if I could but I like to, at least, give the girls a chance to enjoy the family meal and not scare them away by burning their faces off. 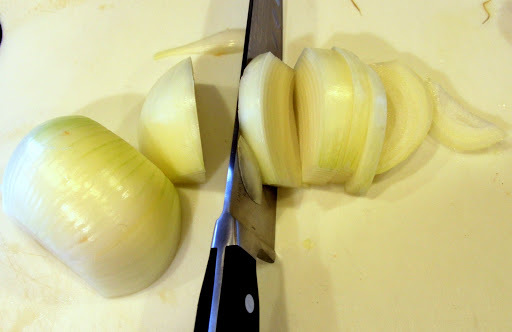 As you glance at the first picture below the recipe, I know what you’re thinking. Why does she have to complicate things by browning the meat when it could just go in to the slow cooker as is?! It’s okay, go ahead and do it your way. I understand and I think I know who you are. You might even be the same best friend who commits the culinary crime of putting her tomatoes in the (gasp!) refrigerator no matter how many times I plead my case with you. You’re a rebel. That’s fine. I love you for it. For the rest of you though, I promise if you take the extra step of browning and caramelizing the meat you will be rewarded with superior texture and flavor. It’s all about priorities, people. Preheat large skillet, cast iron works best, on medium high heat. Add oil, making sure to coat the pan. Generously, salt and pepper the pork. 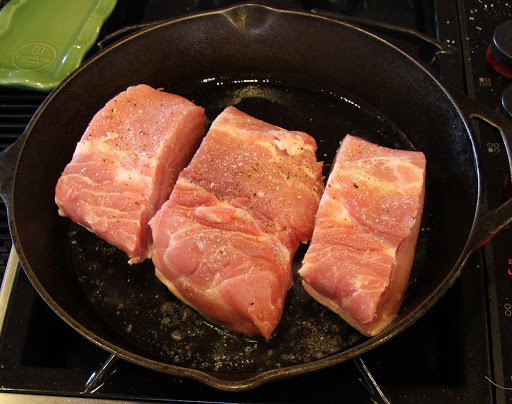 Carefully (I wear oven mitts and use tongs so I don’t get hot oil splatter on me), place pork, fat side down, in skillet. 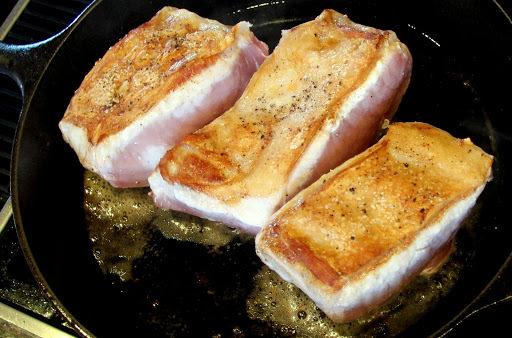 Allow to cook on each side until deep golden brown, 5 -7 minutes per side. 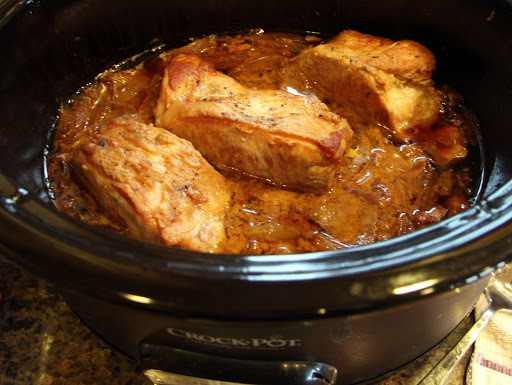 *As stated above, you may skip this step and place raw pork directly in to the slow cooker but you’ll miss out on an extra depth of flavor that occurs in caramelizing/browning the meat. Your call. 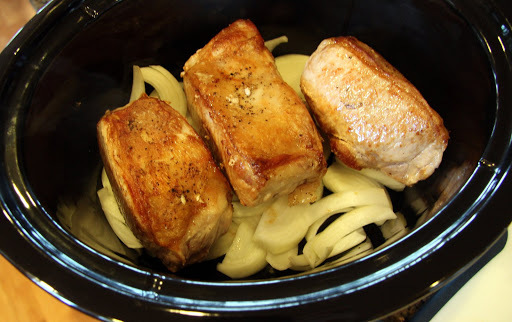 While pork is browning, slice onion 1/2 – 1 inch thick and place in the bottom of the slow cooker. 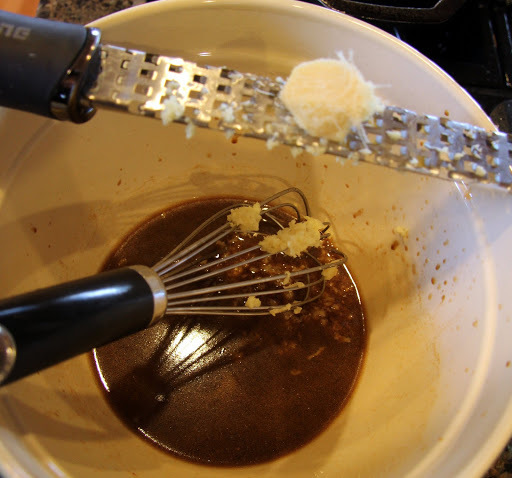 In a large mixing bowl, whisk together dry mustard, soy sauce, sesame oil, Sriracha, lime & orange juice, grated ginger, chopped garlic and rice vinegar. 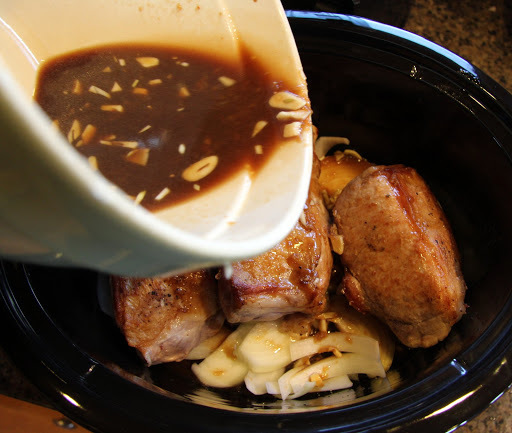 Pour soy mixture over the pork. 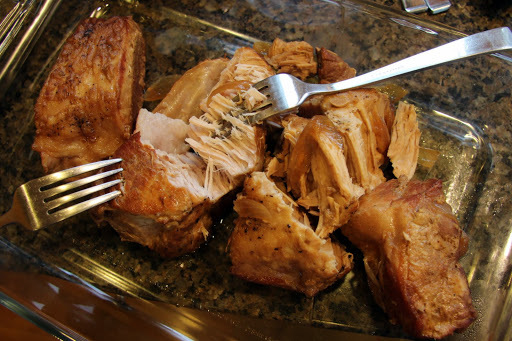 Cook on high for 1 hour then turn down to low and cook an additional 6 – 8 hours, until pork pulls apart easily with fork. 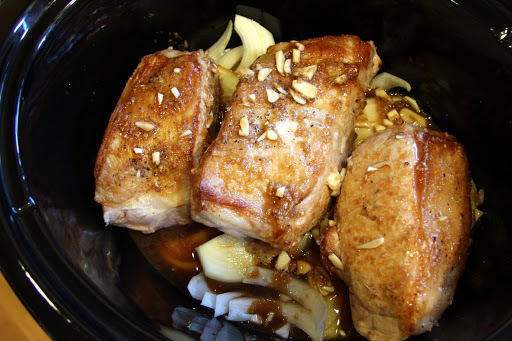 Remove pork from sauce and place in large pan. Shred with two forks. 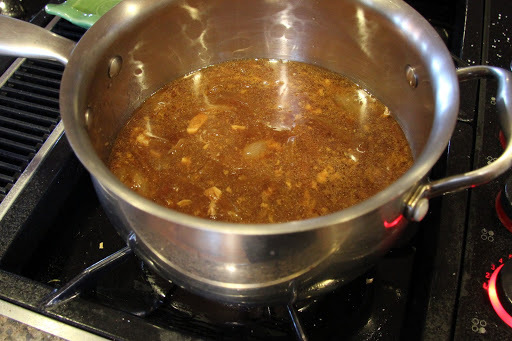 Transfer sauce to a large saucepan and cook until it comes to a low boil on medium high heat. 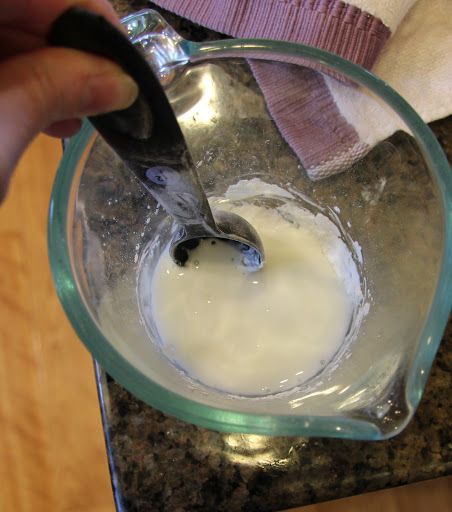 In a small bowl, combine cornstarch with 1 TB water and stir until smooth, no lumps. 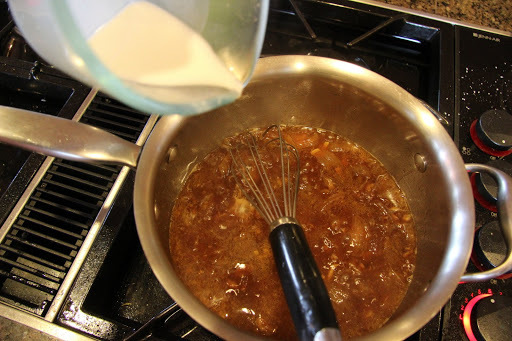 Slowly, stirring constantly (very important to avoid lumps), add cornstarch mixture to boiling sauce. 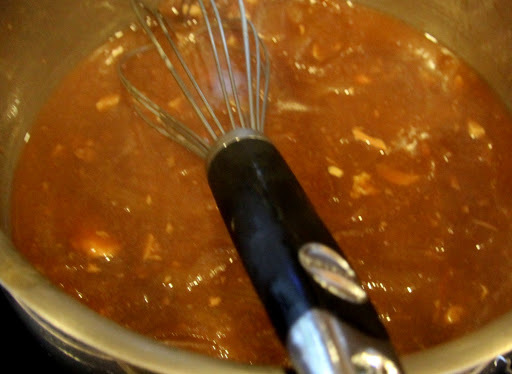 Cook for about 5 minutes, maybe less, stirring frequently, until sauce thickens. 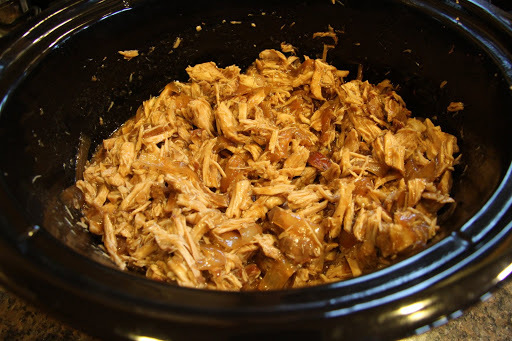 Return pork and sauce to slow cooker, stir to combine and keep warm until ready to serve. 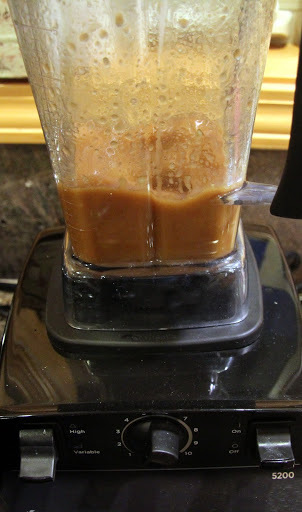 Place all ingredients in a food processor or blender and blend until smooth and emulsified. 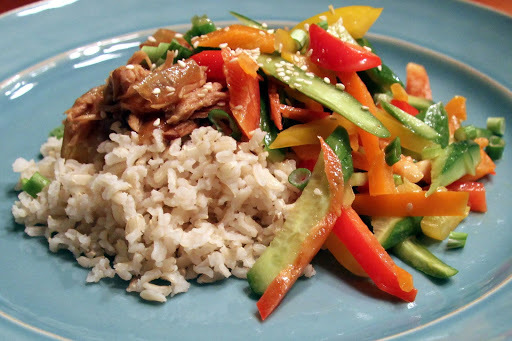 Taste, add more salt (soy sauce), sour (lime/vinegar), sweet (honey) or hot (Sriracha) to taste. Transfer to small bowl or jar. 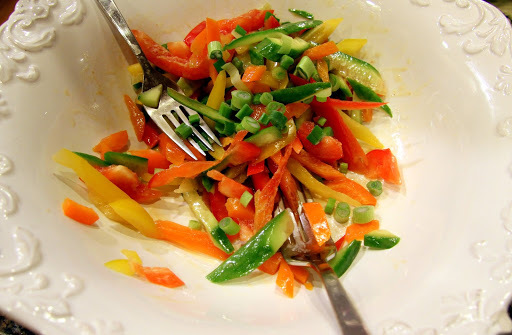 Slice bell peppers and cucumbers in long thin strips (julienne style). Quantity will depend on how many you are serving so use your judgement. For example, I used 1/2 yellow and 1/2 red bell pepper and 2 baby cucumbers for 2 people. Add sliced green onions and toss in dressing to coat the veggies (again, quantity will vary depending on how many servings). 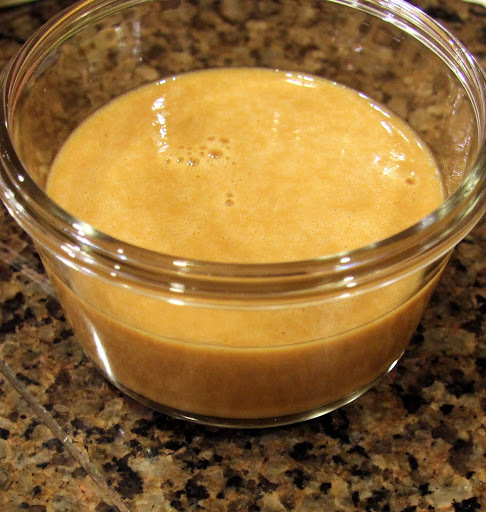 Reserve unused dressing in refrigerator for later use. 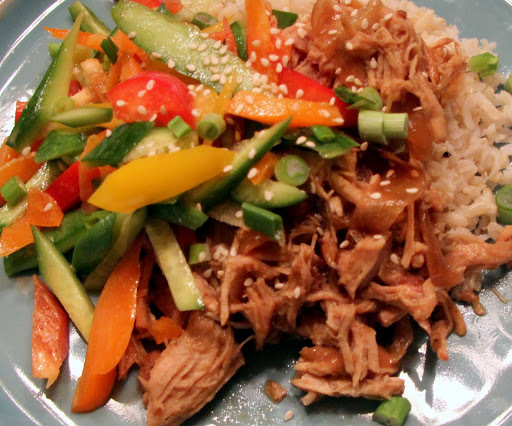 Serve veggies alongside warm pork over rice or noodles. Sprinkle with sesame seeds (totally optional). 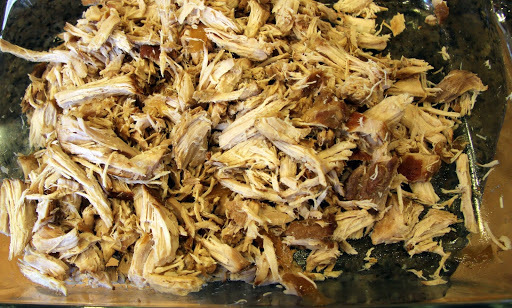 Freeze the left over pork for another quick and easy meal. For my bride-to-be niece… Thought this quote was quite appropriate to our conversation today. I know you know this already but it doesn’t hurt to have a reminder. You will have an amazing wedding day. Love you tons!